Joel played to a small audience tonight. He’s always been the consummate professional. When I first heard him during our early days, when the CoffeeHouse was just starting out in Sunapee Harbor, he blew us all away with his style and technical know how. But hearing him tonight was like hearing a different person. He seems wise beyond his years, and presents an affable, grounded style. Aside from his stunning guitar playing and vocals, he’s really made a major shift skyward. His whole energy, the way he takes the stage, the feeling put into every note, brings the audience, (at least those willing to go), to a new level of warmth and community. It seems he’s been on a long journey in a short time. He’s making the most of his journey with the time he’s given – that is clear. The first thing I noticed immediately, was his total commitment to the performance, right from the first note. The second thing I noticed about Joel, was his guitar. Joel Cage consciously creates a space, for himself, the audience, and each person in the room. He’s got the technical skills to pull off an amazing performance, but more importantly has put the heart behind his craft that puts him at the cutting edge, leading the way. 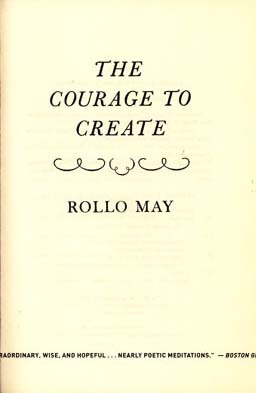 Often I talk about leadership in these posts, and the “Courage to Create” comes to mind (Read Rollo May’s book about this, with the same title). Joel is a true leader. It takes courage to present and show a new way, and break the mold of what we think music should or shouldn’t be. The gift that Joel brought to the audience tonight, was his ruthless walk to the edge and his skill in bringing us with him on his journey. Thanks Joel, we’ll be making the trip to see you tomorrow night, at The Mill. Keep up the good work. This is why we need live music. Unplug the computer, the TV and get out to hear someone play this weekend, or pick up a guitar and play it. To be continued.